PT Kaltim Prima Coal - KPC is a one of the largest coal mining company in Indonesi. Based in Sangatta East Kalimantan, KPC has 90,938 hectares of coal mining concessions in Sangatta and Bengalon of East Kutai Regency at the East Kalimantan Province. KPC is recognized as one of the largest coal mining companies in Indonesia with installed total annual production capacity of 50 million tonnes per year. KPC produces three grades of coal; Prima (high quality coal), Pinang (medium quality coal), and Melawan (lower quality coal). KPC now has representative offices in Jakarta, Samarinda, and Balikpapan. KPC also supported by 5,200 employees and 21,500 personnel from contractors and associated companies. PT Kaltim Prima Coal is subsidiary company of PT Bumi Resources Tbk (BUMI), one of the largest natural resources business group in Indonesia which focused primarily on coal mining industry. According to information found in PT Bumi Resources Tbk Annual Report 2016 as cited by JobsCDC.com, PT Bumi Resources Tbk owns direct ownership in PT Kaltim Prima Coal. BUMI purchased 100% shares of PT Kaltim Prima Coal, after acquiring Sangatta Holdings Ltd and Kalimantan Coal Ltd. Minimum 3 years of experience in Power Plant Operations. Good leadership, communication, and interpersonal skills to influence and deal with a diverse range of personnel. Good financial skill to handle project and budget responsibilities. Good communication in both English and Bahasa Indonesia to liaise with internal and external contacts. Minimum Senior High School (preferably Engineering Vocational High School/STM). Minimum 7 years working experience or graduate with 5 years working experience as a draftsman. Good understanding about the techniques of giving numbers and identification, and keeping designs/plans in accordance with KPC standard. Well-developed written and oral communication skills, both in Bahasa Indonesia. 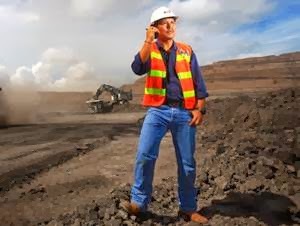 Minimum Bachelor degree in Health & Safety Management with 3 years of experience in safety practices on coal mine industry. Good facilitation, presentation, and time management skills. Competent training skills gained through formal Train the Trainer training and on the job coaching/experience. Initiative and the ability to conduct a systematic assessment on the effectiveness of communication medium. Minimum Senior High School (SMA) or Vocational High School/STM on Automotive or Electrical with above 10 years of experience in heavy equipment maintenance. Possessing experience as Maintenance Trainer or competency Assessor would be preferable. Computer literate and excellent skill in designing and developing training manual. Excellent organizing and time management skills. Good interpersonal communication skills in both English and Bahasa Indonesia. Possess certification in Lead Auditor ISO 14001 is a must. Possess certification in Internal Auditor ISO 50001 is preferable. Possess certification in Pengawas Operational Pertama (POP) is an advantage. Computer literate, especially for spreadsheet and word processing applications. Good communication skill and able to work in a team. S1 degree in Mechanical Engineering from a reputable university. Possess certification in RCM Facilitator is preferable. Good understanding of equipment reliability. Experience on conducting Reliability Analysis. Able to operate computer software packages: Ellipse, Dispatch, MinVu, MS-Word, MS-Excel Advanced, MS-Access, MS-Power Point, Minitab. Good communication in both English (level 5) and Bahasa Indonesia. Bachelor Degree (S1) in Mechanical. Minimum 5 years of relevant experience in wide variety of mechanical projects including mining industry and Power Plant. Good leadership, communication and interpersonal skills to influence and deal with a diverse range of personnel. Bachelor Degree (S1) in Electrical. Minimum 5 years of relevant experience in wide variety of electrical projects including mining industry and Power Plant. JobsCDC.com now available on android device. Download now on Google Play here. Please be aware of recruitment fraud. The entire stage of this selection process is free of charge. PT Kaltim Prima Coal - Engineer, Senior Engineer, Specialist KPC December 2018 will never ask for fees or upfront payments for any purposes during the recruitment process such as transportation and accommodation.